I recently had to move my office to another room, in the process of moving I (re)discovered a roll of unscanned 35mm. This roll is about 2 years old, I took this scene up at Jefferson Lake in’08. It’s not the most inspiring image but I decided to post it as a comparison of the seasons, here is the same lake this winter. 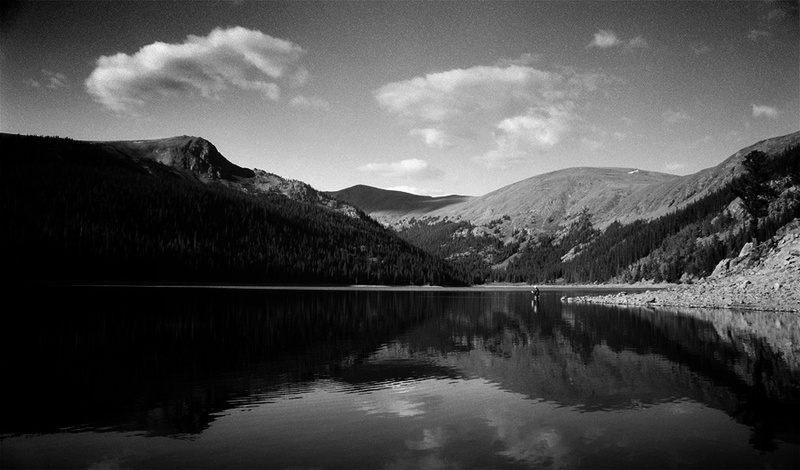 a great find…a classic b&w landscape. beautiful reflections from the water shown on this landscape. excellent touch in monochrome! The water is as smooth as glass. I can imagine it being extremely cold.